Ben has brought us a new track fit with all of the things you can expect from the singer/songwriter. It's lengthy, has a lot of progression, and features some pretty killer guitar. I’d like to preface this by saying that I am probably Ben Howard‘s number one fan. Having bought all the albums, and attended the concerts, he falls at the top of the artists who have shaped my growing up experience. That being said, I don’t want to make this whole review reflect my views of the man himself. 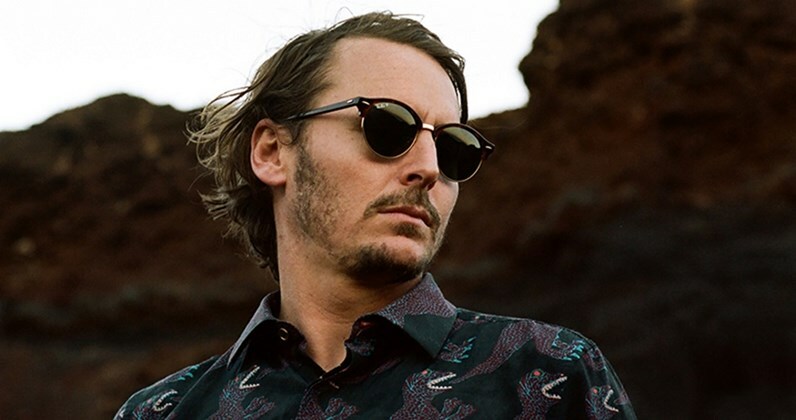 After four years of waiting, Howard debuted his newest single, ‘A Boat To An Island On The Wall’, as Annie Mac’s Hottest Record In The World last night, and although it’s not of the same level as ‘I Forget Where We Were‘, it’s certainly worth getting excited about. Weighing in at a lengthy 7:10, the track reflects what we’ve come to know and love about the singer-songwriter. It builds, in his typical experimental folk style, playing with the guitar to generate different atmospheric sounds alongside Howard’s melancholic vocals. But it’s around the three-minute mark is where this all changes. Bringing in some drums and eventually some perfectly fitting electric guitar, ‘A Boat To An Island On The Wall’ morphs into a dark and brooding record, in such a way that Howard hasn’t produced before. The use of electric guitar is an aspect I particularly liked, and it really elevated the track away from the typical acoustic sound we’ve seen in his previous albums. ‘A Boat To An Island On The Wall’ carries on the well-loved and appreciated sound we’ve come to love from Ben Howard, but in such a way which doesn’t stagnate him. Although it may be a track which may not be as understood by new listeners, it’s certainly great for his long-time fans. This new single also comes with the news of a new album, Noonday Dream, as well as a European tour across the summer months which kicks off in Lisbon on May 27th. ‘A Boat To An Island On The Wall’ is out now via Island Records. Tickets for Ben Howard’s upcoming tour can be bought here from April 13th.